The prototype seen here is commonly referred to as an Engineering Pilot or EP for short. The white box, like the one accompanying this y-wing, is common with Engineering Pilots. The package graphics at this point are not important since the purpose of the EP is to ensure the product and inserts fit correctly into the packaging. 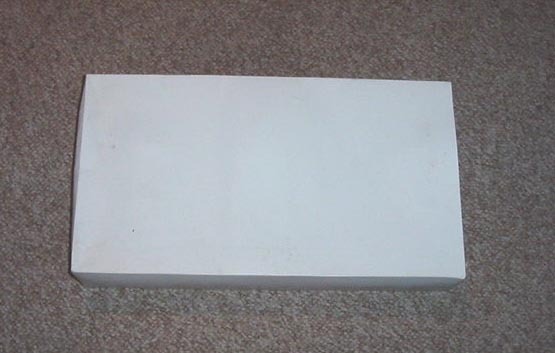 EP's are sometimes used for drop tests, where the packaging is allowed to fall in order to test the packaging's ability to prevent damage to the product. 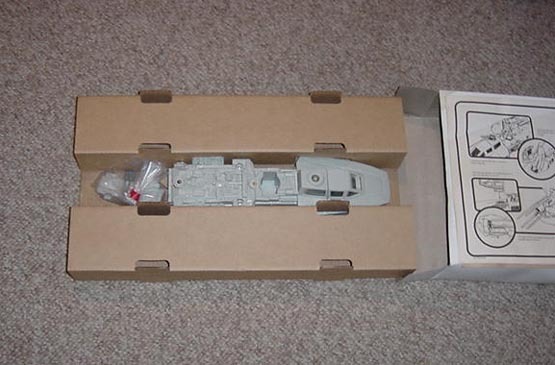 The photo above shows the toy, safely bundled inside of the inserts, on its way out of the white EP box. Astute eyes will notice the ship itself lacks any paint details, which adds to the appeal of this prototype.